M. Night Shyamalan's much-hyped sequel Glass opened with a strong $40M domestic, and $89M worldwide, besting expectations. The film is a belated sequel to 2000's grounded superhero film Unbreakable, and a secret followup to 2016's Split. 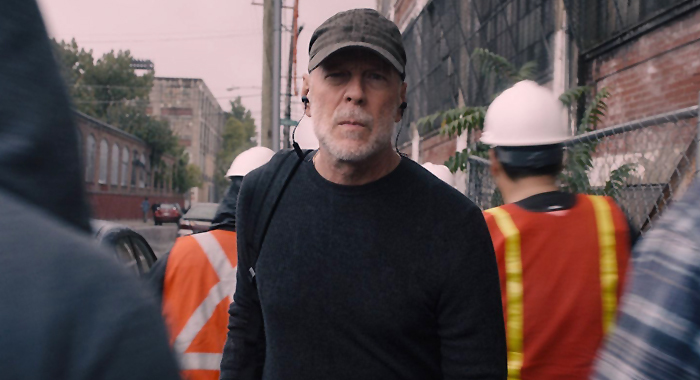 Bruce Willis, Samuel L. Jackson, and James McAvoy all reprised their roles from those films, and the opening weekend for each film is pretty comparable, suggesting there weren't a ton of curious moviegoers taking a chance here. If you dug Unbreakable and Split, you were going to show up for Glass. Reviews have been okay but hardly great, and that's probably a big reason for the lack of an expanded audience. The final point, though, is that Glass only cost $20M and it has quadrupled its budget in a single weekend. Everybody I know ran out to see Dragon Ball Super: Broly this week, and it looks like I may need to join them. The loyal Dragon Ball base showed up in droves to give it a whopping $7M Wednesday opening, ending the week with $20M overall. Damn. I'd be lying if I said I understood where this particular story fits into the overall Dragon Ball narrative, it's long since left me dazed and confused. But they've clearly done something right in appealing to the die-hard base. These numbers double the domestic run of both 2015's Resurrection F ($8M) and 2014's Battle of Gods ($2M), both of which I saw and liked quite a bit. Worldwide Dragon Ball Super: Broly has $78M. Aquaman crosses the $300M domestically and now has over $1B worldwide. Disney's Mary Poppins Returns has done pretty well after a soft start domestically, and now has $306M worldwide.